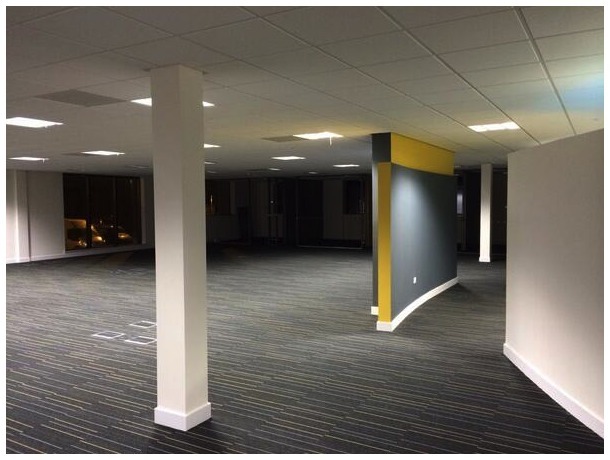 We operate as a specialist contractor throughout the UK in the supply and installation of Suspended Ceilings, Partitioning, Dry Lining, Fire Protection and many Bespoke products. Chevron House, Aberdeen / Mearsk HQ, Aberdeen / Nuclear Medicine, Ninewells Hospital, Dundee / St Andrews Community Hospital / Archer HQ, Blackburn / Invergowrie Primary School / BMW Showroom, Aberdeen / Skoda/Seat showroom, Aberdeen / VW Showroom, Kirkcaldy / SSE, Dundee / Centrica, Aberdeen / Stonehaven Care Village / Louisa Centre, Newcastle / Kuwait International Airport/ Edinburgh International Airport / Dundee Airport/ Cardiff Concert Hall / ASDA / TESCO / Taylor Industrial Services, Aberdeen. Shell, Aberdeen. Dundee City Council.